Why Vape Wire Types & Sizes Matter? One may think that apart from all the other parts why the wire type has been given priority. The answer is that flavor, production of vapor and the ramp-up time depends on the wire type and size. Therefore, one must focus on the wire. There are five types of wire which one can use in the devices for getting different flavors. It also gives opportunities to the vapers. Once you will know all the types of the wire, you will be able to match the right wire that matches your style of flavor and preference. 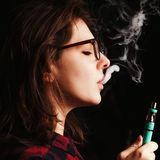 ire Gauges Importance Now when you are choosing the perfect wire, it becomes more important to know the vape size means the gauge of the wire which denotes the actual diameter of the wire. When it comes to select the gauges for the vapers, they often like 32, 30, 28, 26, 24, and 22. One thing you need to understand over here that the bigger the numerical value, the thinner the wire is. 26ga wire is having a bigger diameter than the 30ga wire. The increasing diameter will result in decreasing resistance. Therefore, based on the device and vapor production, you need to select the wire. Vape Wire Types Once you understand the size of the wire, now it is important to understand the type of the wire. The material which is used in wire manufacturing plays an important role in vaping experience. Some of the common materials used in the wire are Kanthal Wire, NiChrome wire, Stainless Steel Wire, Nickel Wire, Titanium Wire, etc. However, among the different materials, Stainless steel helps you in getting better temperature control and wattage control. choose the right wicking material. You can choose from cotton, silica, ceramic and more. However, mostly it is the cotton, which is used in the diverse range of the device. Cotton is used widely for the following reasons: Lifespan, flavor production, vapor production, liquid holding capacity, easy to use. In the number of old and traditional coils, you can get a silica wick also. ow to Wick a Vape Coil Now when you get a complete understanding of the overall wick and coil information, you need to know the proper way to wick it. If you are using the cotton or rayon as wick material then you need to follow certain steps. •Roll the cotton in a rope-like a shape •Thread the cotton into the coil carefully •Cut the ends of the rope you prepare •Tuck the cotton in a proper way under the coil •Add a few drops of e-juice on the wicking cotton and let it be saturated Following these steps for wicking will enhance your vaping experience by miles. 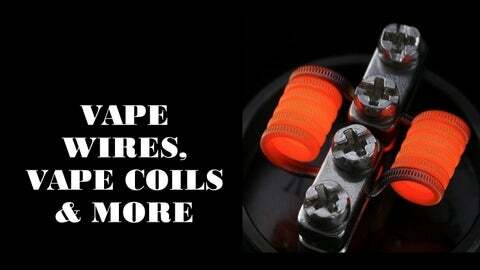 Over in this presentation, you got a complete understanding of the vape coil and vape wire. Getting the best vaping experience is really challenging work to do. Building your own device can be both challenging and fun too. STAY TUNED WITH VAPING! USE VAPE COILS WITH ORGANIC COTTON & EXPERIENCE BEST VAPING.